Doug E. Fresh, the pioneer of modern American beatboxing, made his name as a member of the Get Fresh Crew. 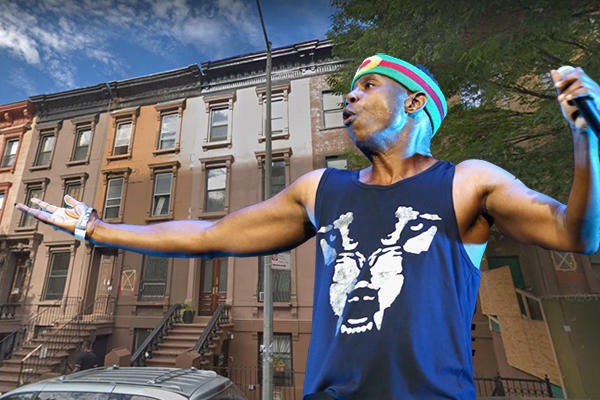 The musician is now suing a different kind of crew for getting his Harlem home decidedly not fresh. In a lawsuit filed with New York State Supreme Court on Monday, Fresh alleges that a neighboring property owner, three contractors and an architecture firm committed a series of blunders that ultimately led to a rodent infestation and other issues at his home, the New York Daily News reported. The trouble began when workers removed the rear wall at 249 West 131 Street, as part of a plan to convert the property into eight apartments. “The contractor that the building owner hired was negligent,” architect Anthony Cucich, one of the defendants, told the Daily News. “The rear wall should have been taken down at the end,” rather than at the beginning.